The Sensible skirt is a C&R classic. 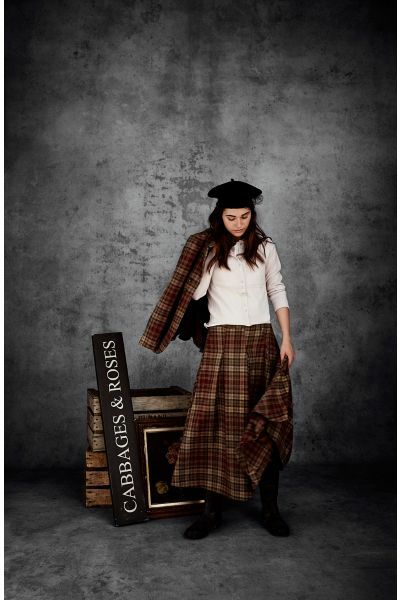 Designed for the Roselle jacket or Cassandra coat, this ankle length skirt is fitted around the waist with pleat details. Wear as an every day staple, as a suit or with a little cardigan. Made from the softest Scottish labswool, made in the UK from start to finish. MADE FROM A SCOTTISH LAMBSWOOL TARTAN. THE SENSIBLE SKIRT WAS MADE IN LONDON. 100% LAMBSWOOL.